A while back the editors at HocTok.com approached me for an interview. Where did they find me? How did they know me? They are based in Brooklyn, NY and I live in Fargo, ND. I am hardly a known poet, yet my work found its way to an online publication in NEW YORK CITY? I truly am honored to be (gulp) featured on a website. I have had poems published and a short interview that I applied for, but this is the first time I have ever been approached for an interview. My significant other is in awe of my writing talent, as he calls it. I still have my doubts. Even though I have a full page of writing publications on my “writing CV,” have been invited to two residencies this summer and have been accepted to an online graduate certificate program for teaching writing – I still have doubts. Until fifth grade I attended a private Catholic school. One lesson I remember was about a piece of construction paper that represented a person’s self worth, appreciation and disappointment. With each action (falling on the playground, getting an F on an assignment, dropping your hot lunch on the floor, a person teasing you) a piece of the paper was torn off, representing a fragment of the self worth being taken away. Overnight when we slept, that time was for rebuilding that self worth – that was the heart’s job. Unfortunately, the “person teasing you” event did not heal, leaving a corner still ripped away, leaving a hole hoping to be filled – but once that kind of event happens, the hurtful words event, those rips are permanent. Sure, it’s just a small corner, but enough small corners can add up to tremendous pain. Always there, always missing that corner piece. That is one of my missing corners. I feel like I am that piece of paper, missing that corner, trying to prove to that instructor that I am an adequate writer. Adequate – as in, mediocre. All I wanted was to be appreciated as a writer. I have been chasing this idea of being an adequate poet for the past 22 years. Sad, don’t you think? I have been chasing the idea of being an adequate poet, instead of realizing that I am an accomplished poet. I have a chapbook published and was approached for an interview. That little piece of doubt is still there. Some would say I need to just get over it and move on. That little piece of doubt keeps me humble, keeps me grounded, keeps me aware that not everyone will enjoy my work, and that some people should not teach the subject they practice themselves. 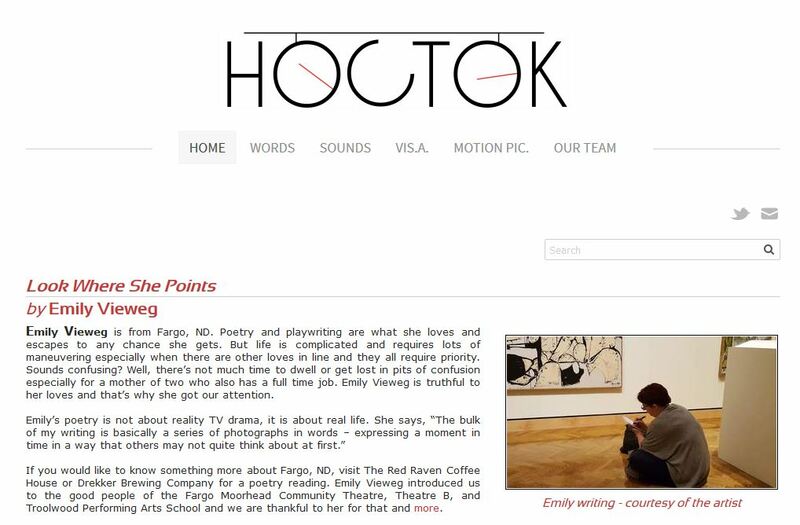 I am honored to share my work with the HocTok.com readers. I am humbled to know that my work has made it to New York City and is appreciated by others who “get” what I am trying to do and say.